This listing is for 1/2 lb. of wholesale black ostrich drab feathers and there are approximately 75+ pieces plus minus 10% in a half pound. These ostrich body feathers range in size from 19 to 24" long +/- 10% with wispy hair-like feathers coming out from the stiff quill in the center of the plume. This type of feather is called ostrich drabs and is the body feathers from an ostrich. These are the largest body feathers you can find on a bird. You can use these feathers in wedding bouquets, carnival decoration, floral arrangements, Halloween costume, headbands, Holiday trimmings, Mardi Gras costume, mask making, party decorations and wedding centerpiece. You will need at least 20-30 feathers in each centerpiece if you are making a palm tree centerpiece effect. The vase should be at least 48" tall of you using this size feathers. 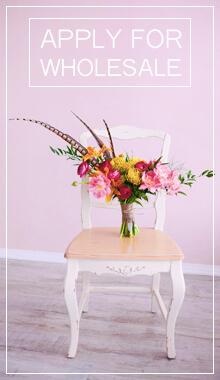 If your vase is shorter, you can downgrade to shorter length feathers. These ostrich feathers vary in shape and sizes. All our ostrich feathers are clean and sanitized, ready to be used. Not all feathers are perfect due to natural wear from the bird. Wholesale and quantity discount is available on these large ostrich drab feathers. They are in stock but may take up to 3 days to ship. Please contact us if you wish for overnight shipment. I ordered for my nieces sweet 16 they came in faster than i expected and just as described , beautiful large feather perfect for my centerpieces.